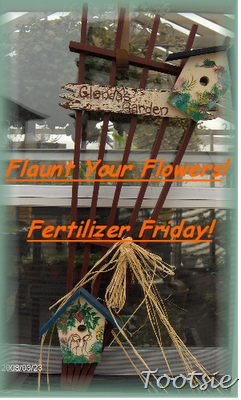 Hola ~ I'm joining up again with Tootsie for Fertilizer Friday to flaunt my flowers :) I have a few new blooms to share and it's been quite exciting to see my summer perennials cheering up the cottage gardens with great color! I have cone flowers finally! Pretty purple echinacea. 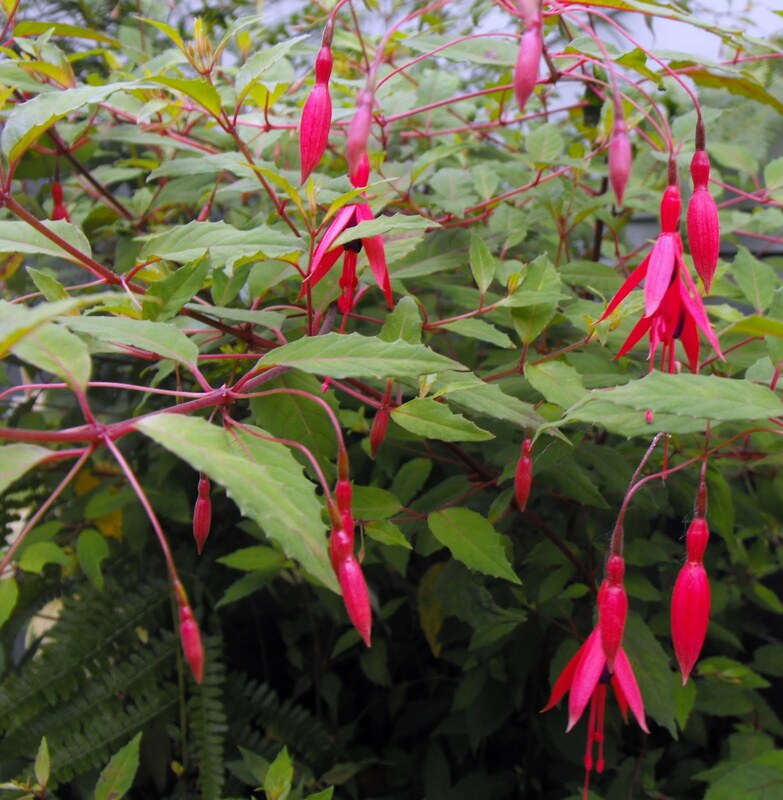 The hardy fuchsia is sporting gracefully blooms. Great purple spikes of liatris have invaded my yard! The bumble bee's love to sleep in them at night. So cute! And finally, another look at my Shasta Daisy's. It has been of great relief to have had a few days of sunshine this week. My goodness a little bit of sun does wonders for the spirit! I've even had to water the lawn...hmmm, that's a good sign summer has arrived. Lovely flowers flaunted today. That Dahlia is a real beauty. That Dahlia is fantastic! What gorgeous colors. 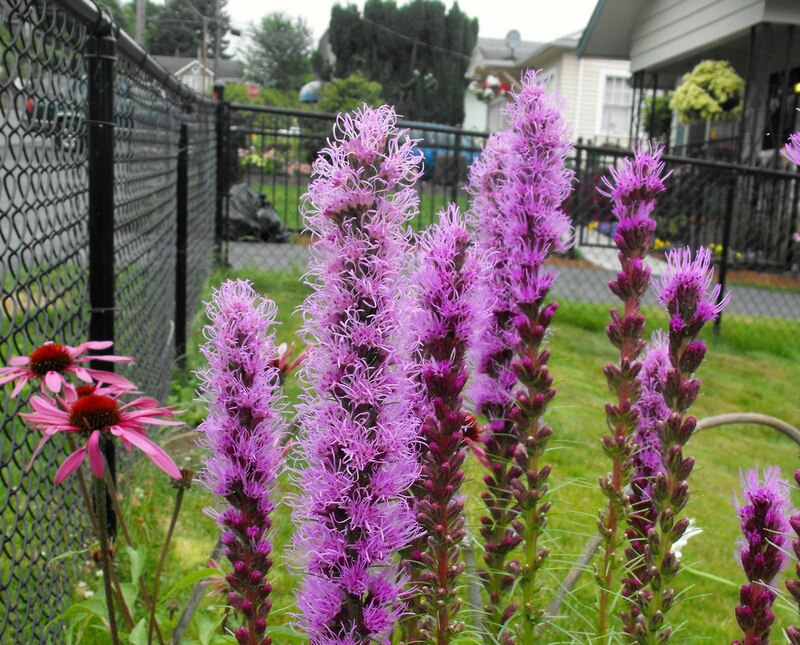 I love the Liatris too. I'm loving your gorgeous dahlia you have a lot of beautiful flowers still. It's so hot here that everything is giving up..
Dahlias are awesome aren't they? That Dahlia is so beautiful, I love those two colors together. You are a bit ahead of me, I don't have any coneflowers or liatris blooming yet. That sun was just what we needed. That is a fantastic Dahlia. I can only hope my cone flowers look half as good as yours. 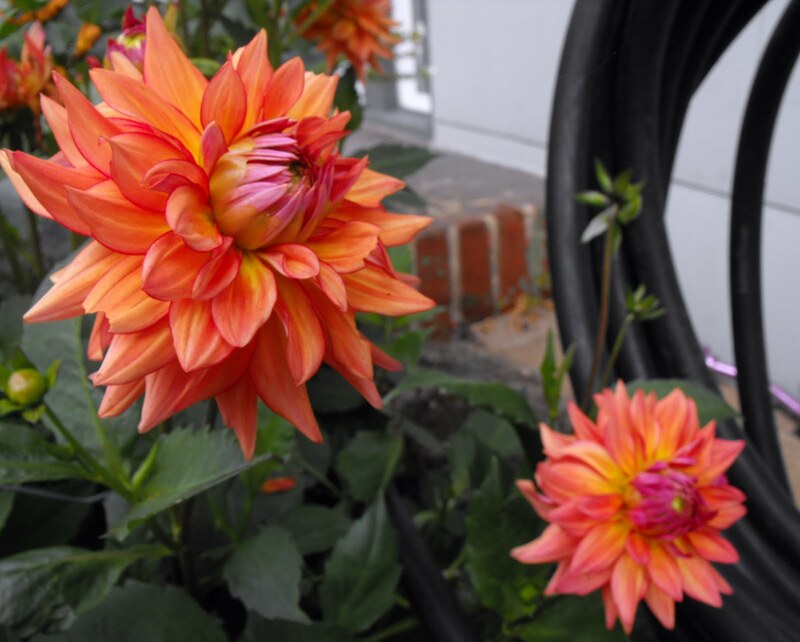 Your dahlia is just stunning! Gorgeous color! 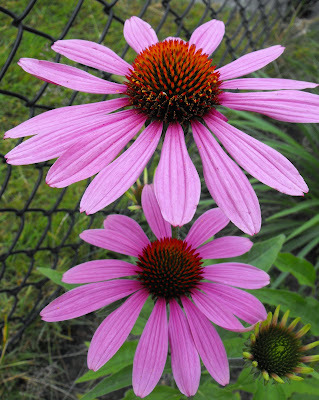 I have always been fond of purple coneflowers as well. What a pleasure they are in the summer garden. You got beautiful blooms. Those dahlias are majestic. Reminds me of my dahlias but didn't come back this year. Hi Sue, that is funny and makes sense! Hmmm, I probably should use more bone meal..lol! Not sure how the name originated, but a gal in Canada started this 'Flaunt you Flowers' Friday a few years back and I've been participating. The general idea is to show off your pretty blooms. 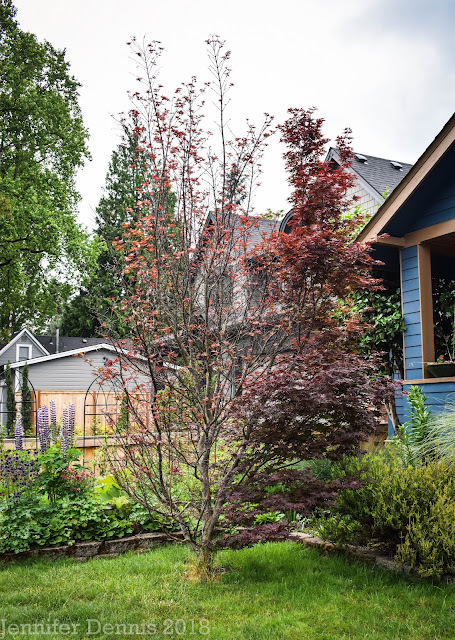 It's is not limited to ornamental blooms either. Jenni, lovely blooms for FF. I wasn't able to get my blooms posted in time, this week. The liatris is wonderful. Mine is starting as well. 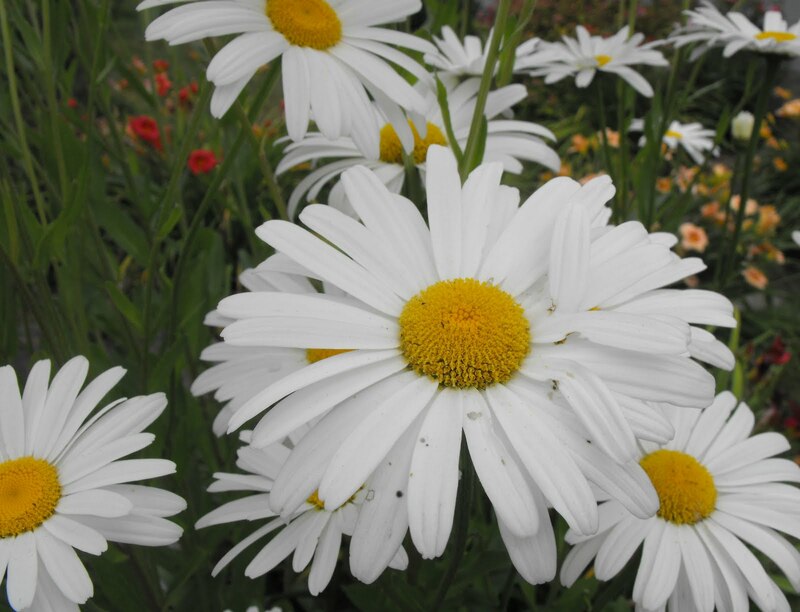 Your garden is filled with colourful, gorgeous blooms now. I really like the colour tone of you dahlia, the winner! Nice show of flowers, so cheerful! Yes, the sunshine has been wonderful, hasn't it? I love all your flowers. And I love it when the bees are happy. I thank you so much for linking in this week. It is an honor to host Friday's Flaunt and meet new friends and visit the regulars (who are like old friends) who share. I am always excited to tour each post and see the different flowers/ projects and garden art that everyone flaunts. It is a pleasure to tour and see all the gorgeous blooms...and I appreciate each and every link and comment! I hope you will link in again soon! The weather has been amazing! Worth the wait for sure. 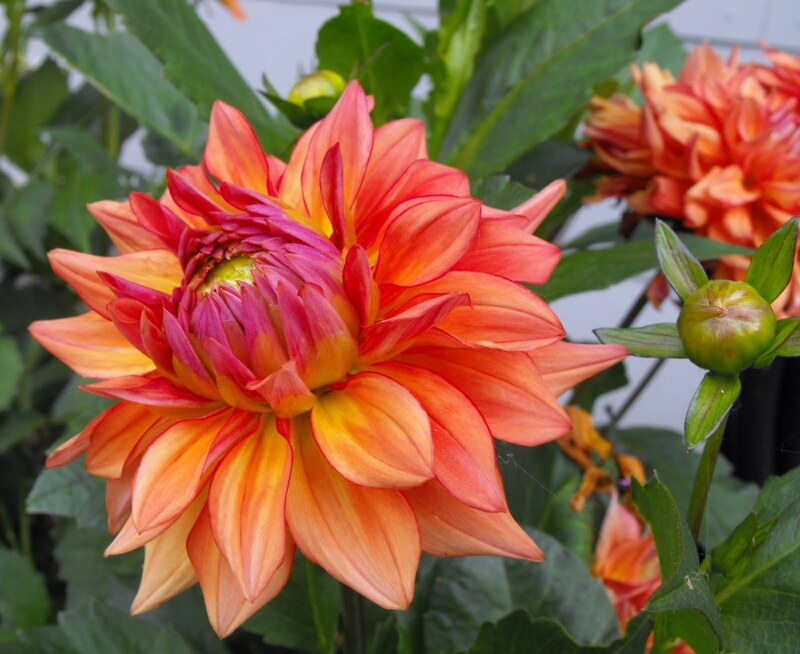 What a beautiful dahlia! I haven't had good luck with them the last couple of years, even the newly planted ones I think must have rotted in the wet soil this year. 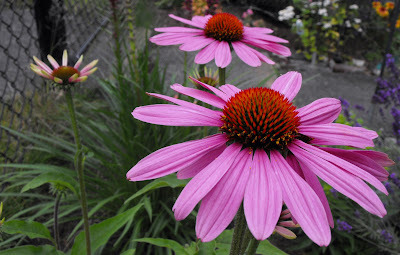 Still waiting for coneflowers here.